The top 10 bestseller now in B format! Joni, Deb, Eden and Trina try to catch up once a year for a girls' getaway. Careers, husbands and babies have pulled these old high-school friends in different directions, and the closeness they once enjoyed is increasingly elusive. This year, in a bid to revive their intimacy they each share a secret in an anonymous letter. But the revelations are unnerving. 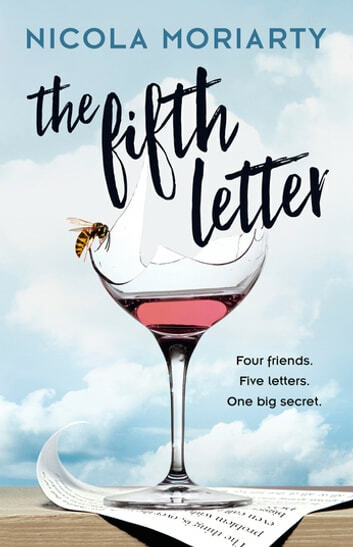 Then a fifth letter is discovered, venting long-held grudges and murderous thoughts. But who was the author? And which of the friends should be worried? 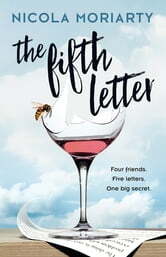 The Fifth Letter is a searing examination of the bonds of women's friendship groups, the loyalty and honesty they demand, and the pain of ending relationships that once seemed essential but might be outgrown. I had a big problem with this read. I downloaded as my holiday book on our tenth anniversary getaway. It is all so very Moriarty in its wit and whimsy and the way it makes one feel like these 4 main characters are my actual real~life school gal pals....but it is also very Moriarty in that I couldn't put the darned book down. Sorry, hubby. Happy anniversary. Perhaps now that I've finished it (a day later) we can start our holiday? An interesting story about keeping secrets and how they can explode and change things forever. Excellent could not put it down. Old school friends and how life,work, marriage and secrets which all come out in the end. This was truly a book I could not put down. How I love the written work of the Moriarity sisters! They are straight shooters and as the books are set in Australia it is even easier to get totally engrossed. Remember your best friends from school? Well the ladies in this book are something else! Their fears, joys, lifestyles are easy to relate to and this is so well written it's very easy to feel like they are your friends. Brilliant.